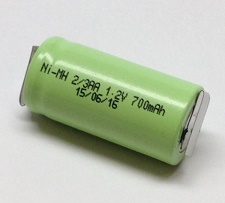 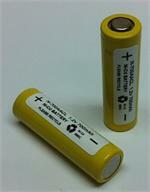 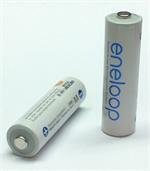 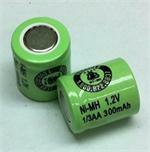 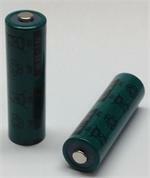 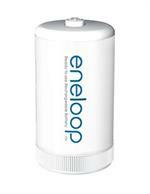 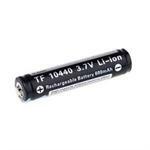 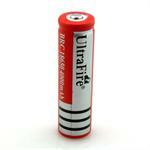 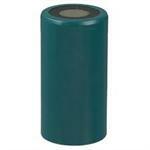 EP700AAH : 1.2 volt 700mAh NiMH battery cell, 2/3-AA size. 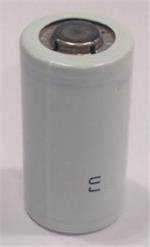 Cell dimensions: 1.1" tall x 0.56" diameter (28mm x 14mm). 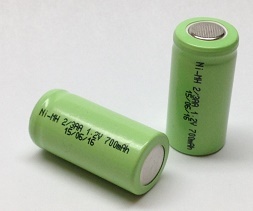 Weight = 0.475 ounces. 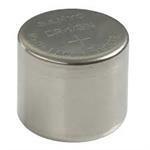 Available Plain (no Tabs) OR with Solder Tabs (one Tab welded to the top,and one Tab welded to the bottom). 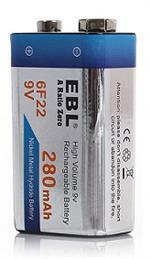 Add $ 0.25 per cell for Solder Tabs. 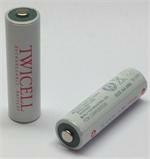 Pricing is $ 2.95 per cell (no tabs), and $ 3.20 per cell (with Solder Tabs).